Jeavons has been updated to fix a unit name issue. This is a suggested update as it will cause conflicts with Verhoek if not updated. Maritime has now been removed from the Truck Skins page and moved to the Combos page. 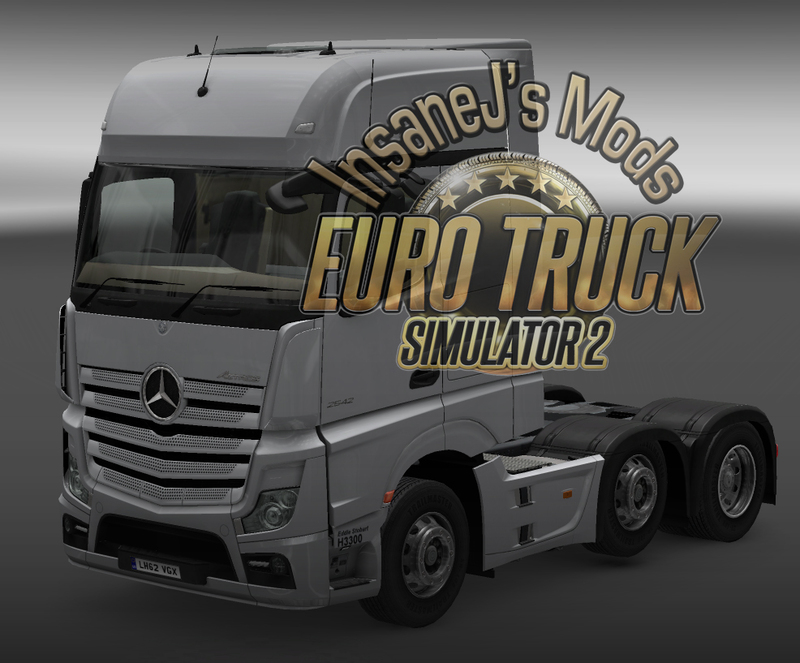 It now includes two trailers, two truck skins (DAF E6 & Actros 2014) as well as AI combo. With the start of a new year, it only seemed appropriate that my first mod of the year also be completely new to the site. 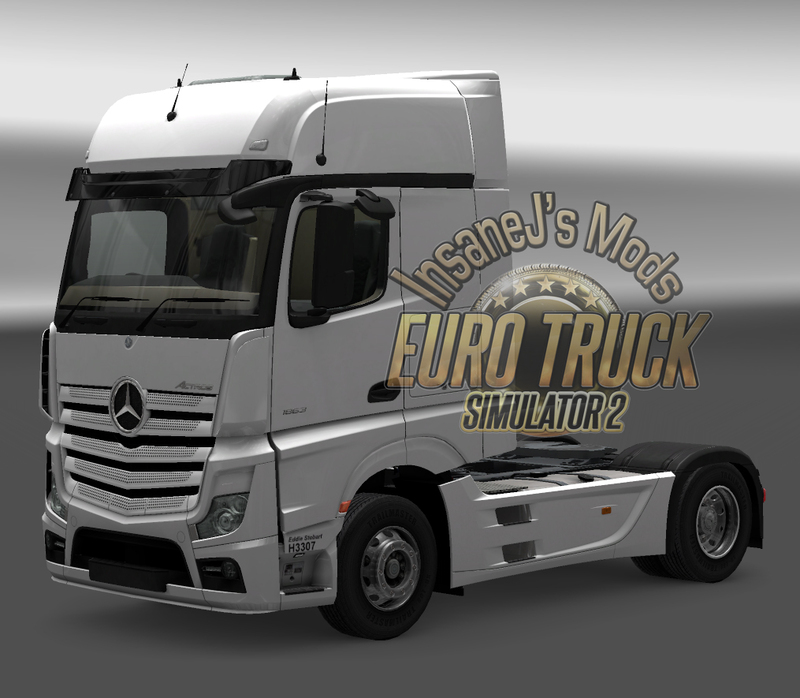 R.T. Keedwell joins the party with Mercedes Actros skin, a trailer, and as always an AI Combo. The image shows the AI combo, complete with painted wheels. The reason I learnt how to make my own AI truck traffic was partly because Jazzycat’s MP4 was not made to the same spec as SCS (different UVmap) that and he has started to lock his mods, and I want to respect that by not using any of his own new work. This frustrated me after waiting so long for him to add the damn thing. But I understand his reasons, I lock my own work after all. Along with that I obviously wanted variants he hadn’t made. So I started to deconstruct his older works to get an idea of what he had done. I did try this a long time ago and failed miserably. But in the past year my knowledge of blender has grown, as a result I now ‘see’ things differently. My first test was to cannibalise his Scania ai truck and add the painted front grill. This was successful and it’s been part of my private AI pack for about 8 months. This past week or two I progressed to adding the windkit from the Streamline. Then I tried to make a working version of the MP4, using part of Jazzycat’s pack and the SCS model. To start with I thought I had done it, but I ran into issues. Lots of issues; which I why I stopped talking about it on FB, so I changed tack. Instead of trying to edit JC’s work I decided to try making my own from scratch. And with great success the Actros 2009 B Cab came forth. Today I decided to have a crack at making the Mp4 again. I feel proud that I managed to achieve it, and unlike Jazzycat’s model, this sucker uses the default SCS UVmap. Now obviously I need to attach sunshields, sideskirts, and the interior (which will be cannibalised from the 2009 Actros since SCS hasn’t made AI MP4 traffic) and it also needs a LOD model. But hey, this is a near complete truck, and it’s working without any errors. With the launch of 1.18beta on Steam the MP4 has now been released. 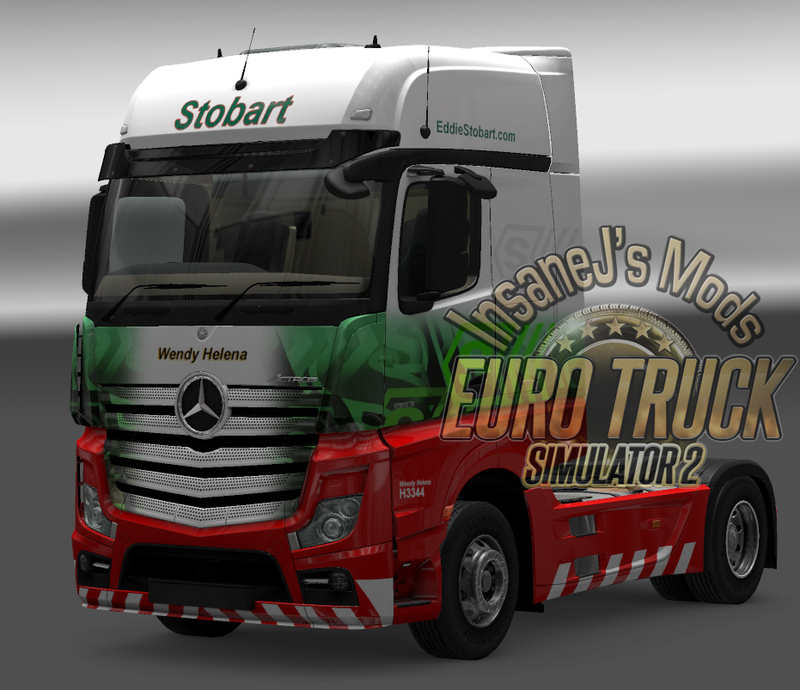 As a result the F1 Combo pack now has Mercedes and Williams added to it with the MP4 Stobart Mercs. These can also be found as solo packs for those who just want specific skins.